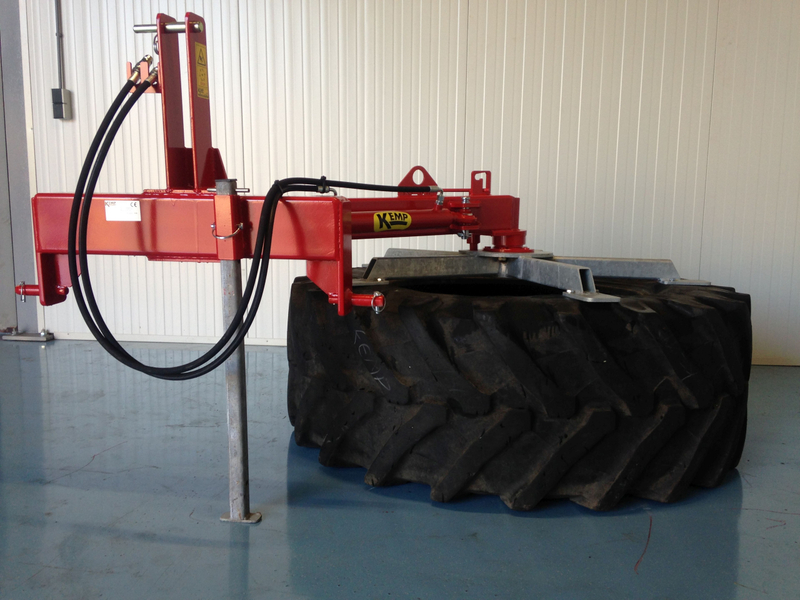 The VBE (Single silage pusher) is a hydraulically swivelling pusher. The feeding wheel can be used left and right by means of a double-acting cylinder. 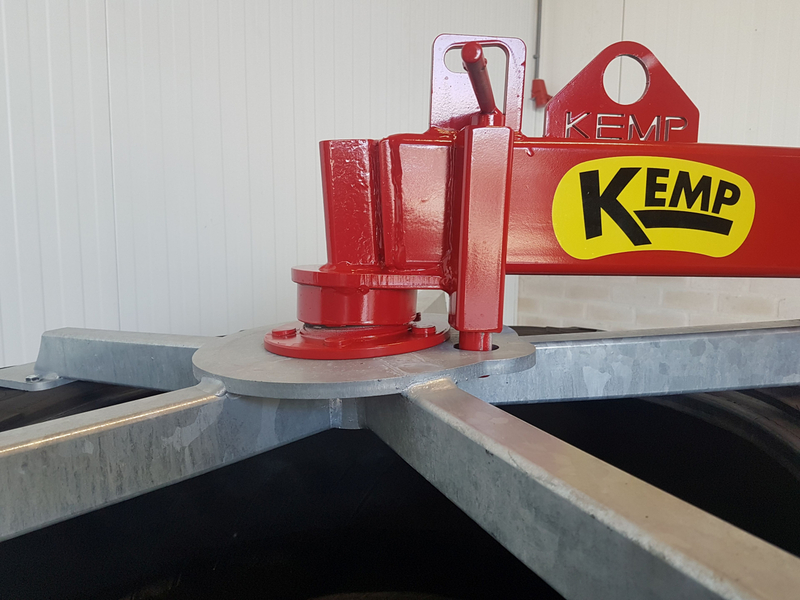 This allows you to enter the feed on both sides of the feed alley in the same direction of travel. 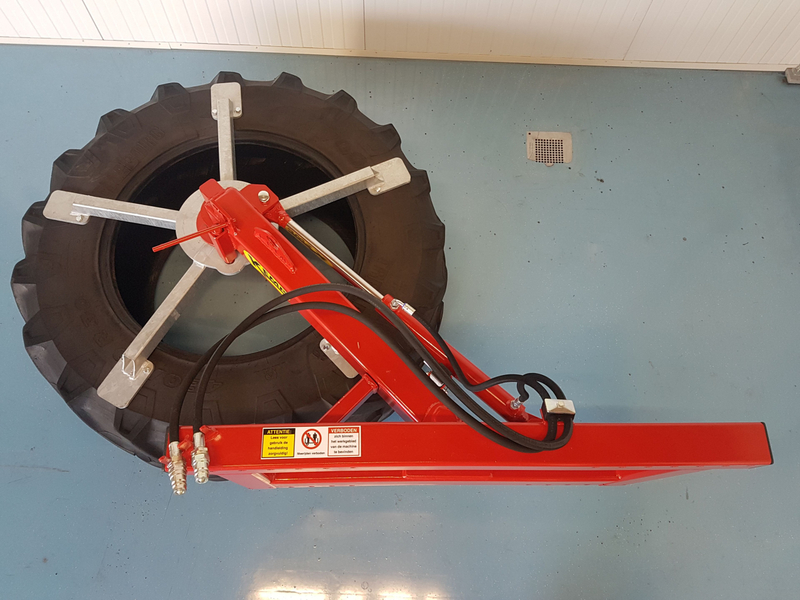 The VBE can be delivered with 3-point connection or with attachment parts for (mini) loader, etcetera (for the attachments see the document: Kemp attachment parts). The VBE is standard equipped with a retractable support foot. 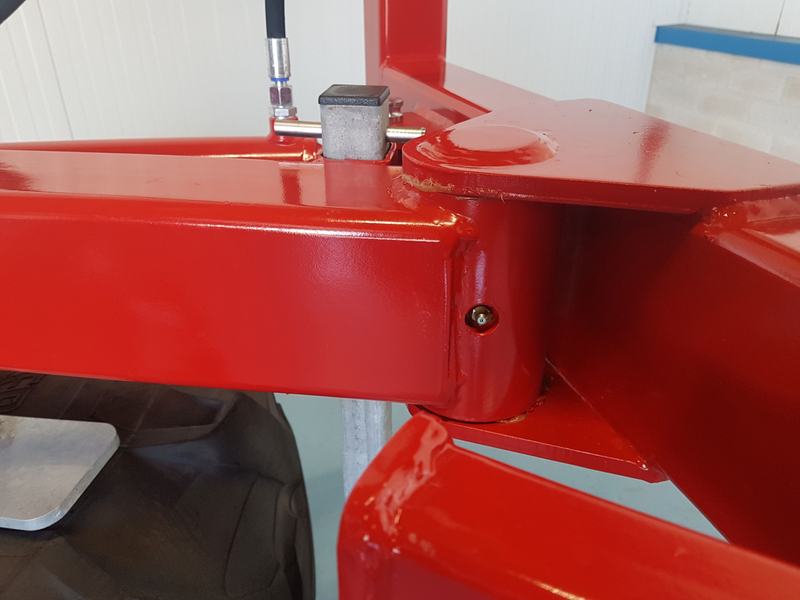 When the support foot is extended, the machine is straight and can easily be coupled to the vehicle. 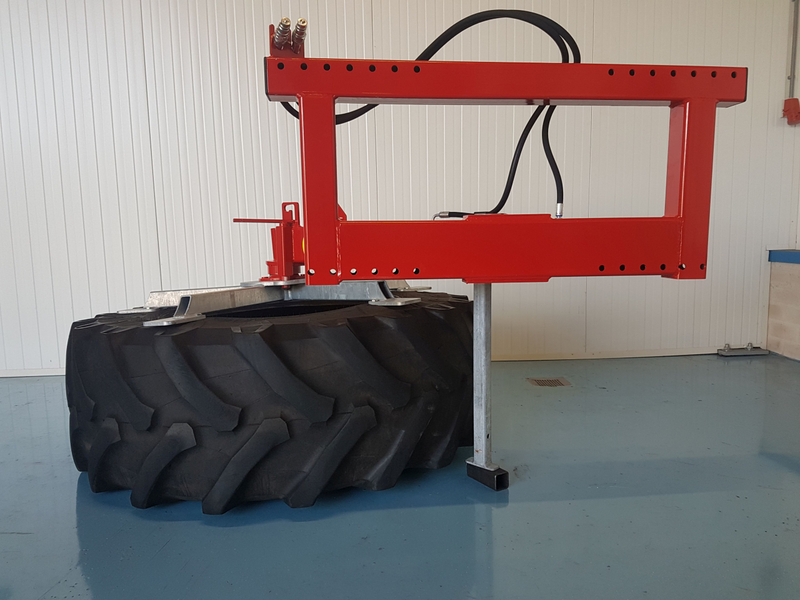 The weight of the VBE is ± 200 kg.